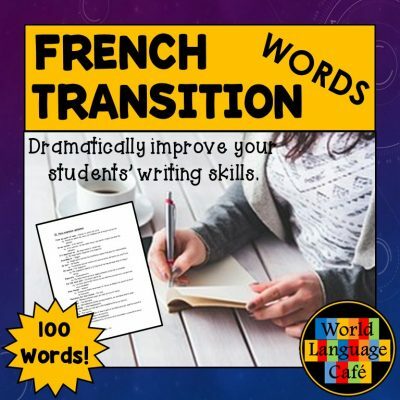 Are you a newer teacher who could use some guidance and French lesson plans from a veteran teacher? 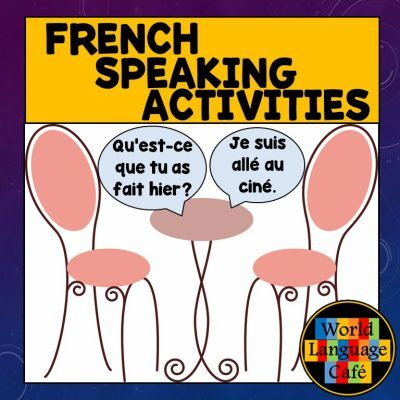 Are you teaching multiple levels of French classes at once (3-5 preps)? 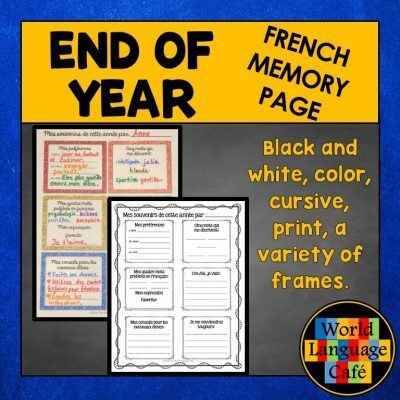 What if you could get ready-made, teacher-created French lesson plans that your students will love? Believe me, I know what it’s like to feel overwhelmed with prepping for multiple classes, to struggle to get students to learn tricky French concepts, and to be tired and a little burnt out. I’ve seen what works and what doesn’t work in class. There is no need for teachers to spend hours, weekends, and vacations reinventing the wheel. The post is sorted into categories that are organized alphabetically: culture, games and fun, holidays, speaking, writing, and vocabulary and verbs. 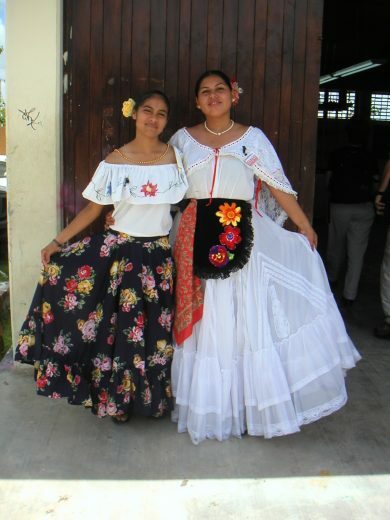 Most textbooks don’t teach enough culture and this is what students love to learn the most. 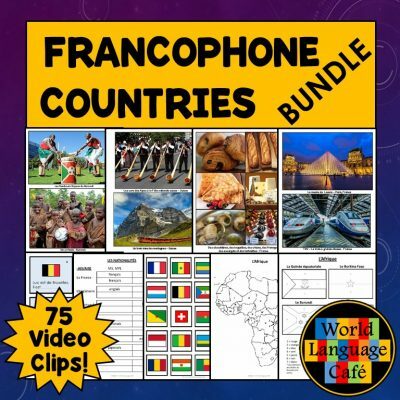 My Francophone Countries Bundle is instant culture for the whole year. 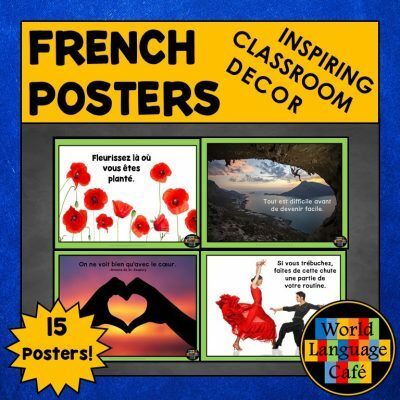 Each week, pick a Francophone country and plan a cultural Friday where you show 6-8 colorful photos from the country, color a country flag, learn interesting facts, and travel virtually with a few short video clips. 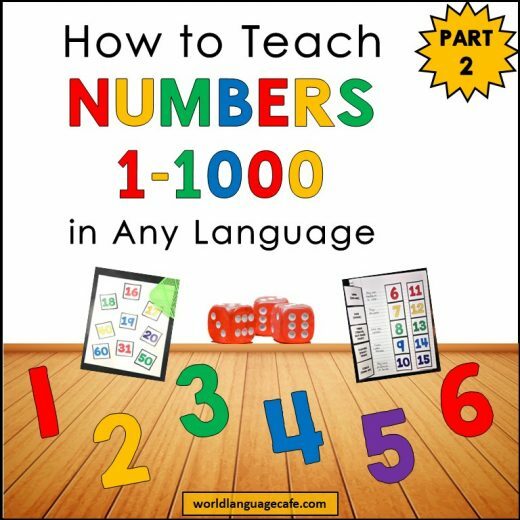 Also includes: large flags to hang in class, map practice and quizzes, nationality practice and quizzes, country-capital practice, speaking activities, etc. This is one of my most popular resources. This is a PPT presentation based on the game, “20 Clues”. 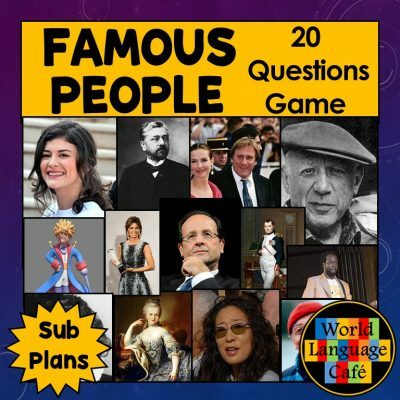 Students read each clue in French and try to guess the famous person. Each student writes a guess for each clue. The student with the first correct guess gets to read and click the next set of clues. Follow up by having students write their own set of clues for homework. More advanced students do a famous Francophone research project and presentation. 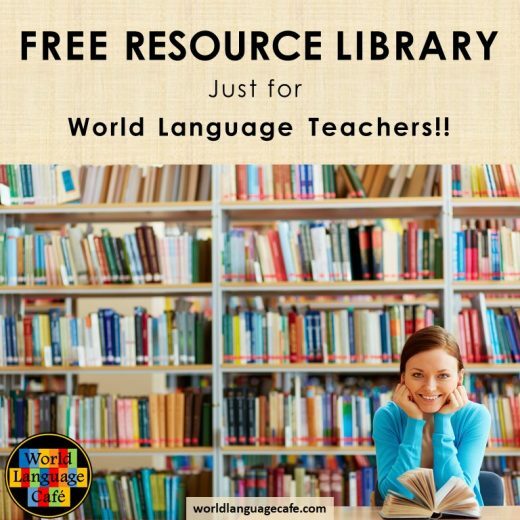 This resource is great for sub plans. Just print the English translations of the clues and sub instructions, and you’re good to go. Textbooks rarely include activities for holidays, but they’re a great opportunity to learn new vocabulary and culture. 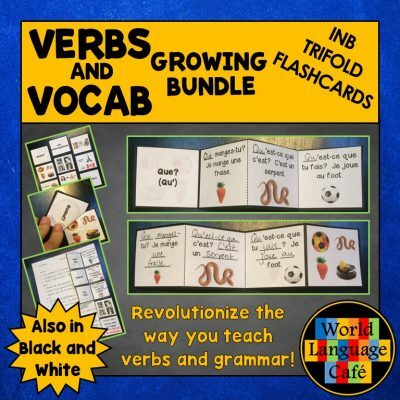 Each of these bundles has enough resources for each holiday for your whole teaching career! Seriously, tons of stuff! 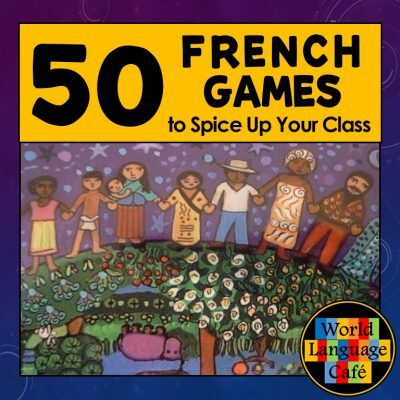 Perfect for all levels of French language learners. 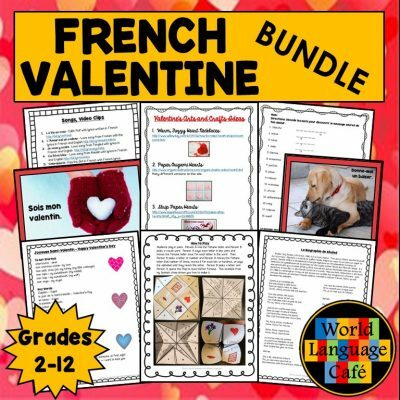 Use these vocab expressions, games, speaking and writing activities, crafts, and cheesy love songs to guarantee that every student has a special day (at least in French class). Speed dating, vocab games, serenades, fortune tellers, memes, etc. This makes the perfect final project for juniors or seniors. Using vocabulary and verb tenses that they’ve learned throughout the year, students work in groups to write and illustrate fairy tales. Step by step instructions with rubrics, transition words, and peer edit sheets. All self-guided work – the perfect cure for senioritis! This yearbook page for French class is a fun writing activity to review favorite moments from the year. I got so sick of traditional flashcards that didn’t work very well, so I invented these flashcards with a photo on one side and the word in the target language on the other side. Students tape them directly into their notebooks and practice writing underneath the flaps. 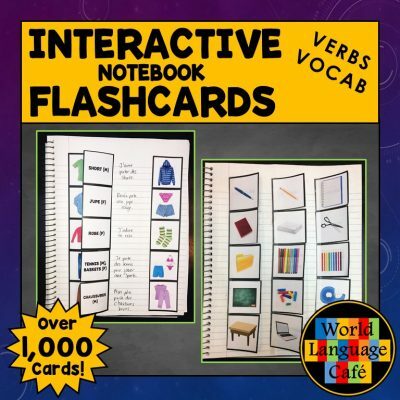 No more lost or misspelled flashcards! Great for visual learners. 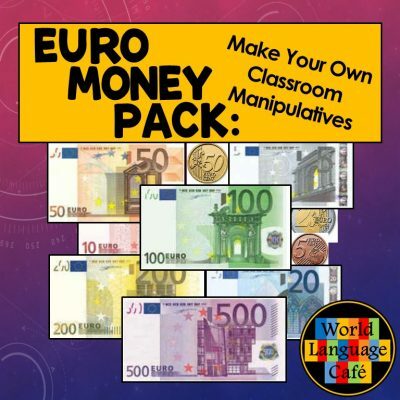 Can also be cut into manipulatives for a variety of class games. 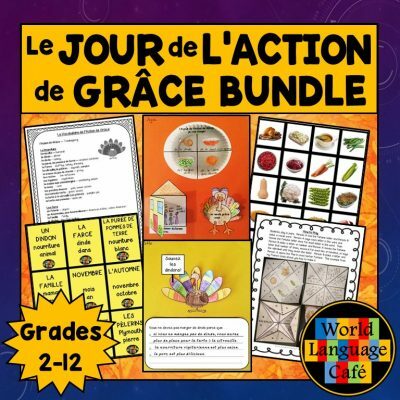 You can purchase these lesson plans individually or save 25% and get them all as a French lesson plans bundle. Sound good? 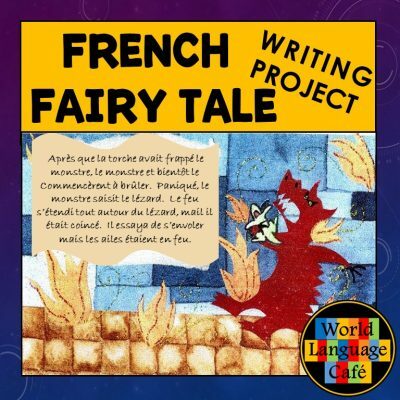 Here’s the link to purchase it: My French Lesson Plans. 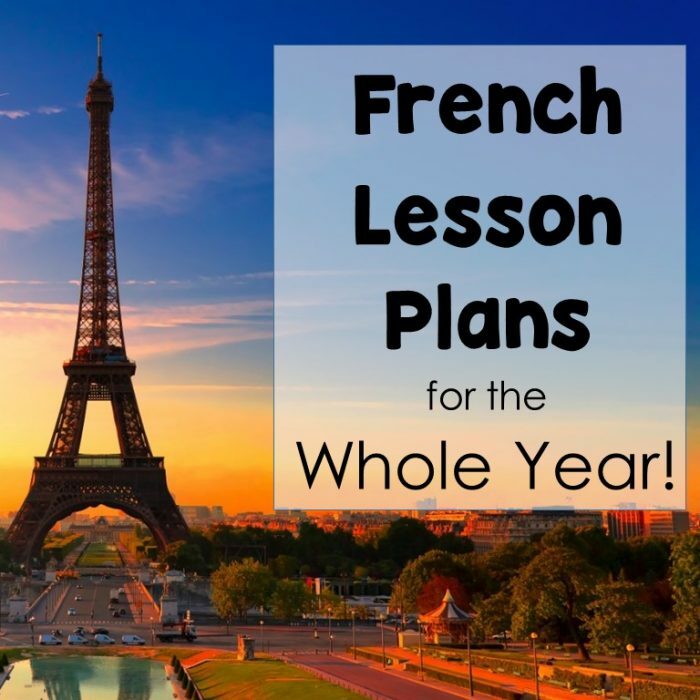 If $150 is just too much right now, consider treating yourself to 1 or 2 of these French lesson plans. Always helps to add a few new tools to your teacher tool belt. 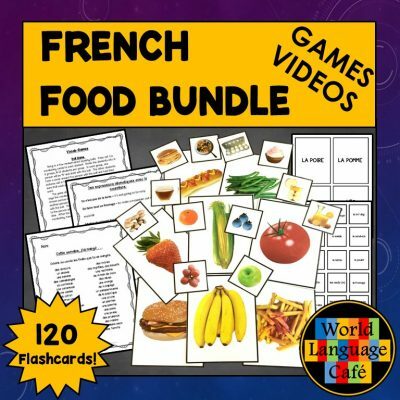 If you’re totally strapped for cash, but want some new French lesson plans, sign up below for my Free Resource Library. I’ll be adding new items all year long. Not sure what this is? Read more about it in this blog post.